Andharban, Tamhini and Sudhargad forest area were restricted for tourists because of the obstruction in Biodiversity. However, the Forest Department has released the ban because the rainy season gives an opportunity of employment for the local people. Accordingly, the group of 25 tourists group will be allowed once and the other group will be allowed one by one in turn. It has been mandatory to have trained guides and trekkers with tourists. Andharban is going to open for tourists from August 4. 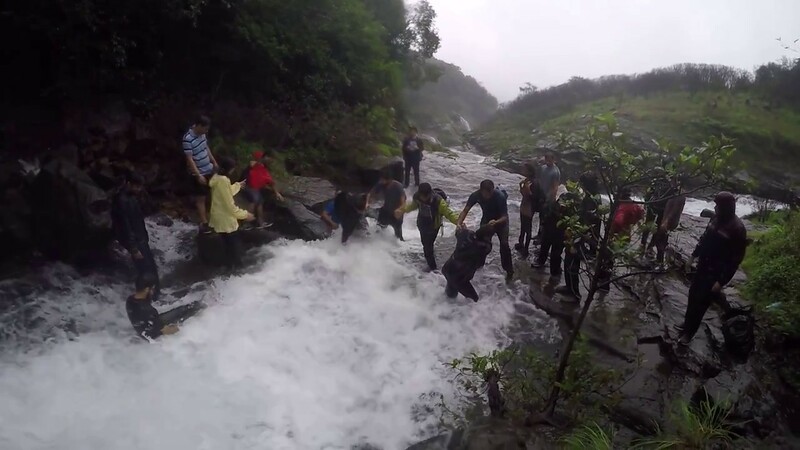 Last year, two tourists had died getting drown into large stream in Tamhnini area. It is also found that the tourists throws plastic waste and alcohol bottles in Tamhini area, due to the irresponsibility and uncourteousy of such tourists, there is a threat to biodiversity here. Therefore, the Forest Department decided to take strict measures. Accordingly, western ghats which includes Tamhini, Sudhagad and Mulshi area’s Andharban area which are considered the most sensitive, was prohibited for tourists till now. However, the restriction has been relaxed because the villagers have said that the result of this ban is affecting local employment. Forest Officer of this area, Ankita Tarde said that according to the act of 2013, there is a record of sanctuary in Tamhini Ghat. This sanctuary is divided into 12 different areas, of which there are 25 species of mammals. In particular, it includes Maharashtra State’s ‘Indian Giant Squirrel’. Along with this, leopards and sheep are also found in this area. More than 70 species of over 150 species of birds and butterflies live in this forest area. Migratory Bird Malabar King Fisher comes for breeding in this area. However, due to the scarcity of tourists, it has become very rare. Dense forest which is known as Andharban, is 13 km away from the central part of Tamhini Ghat. This is a very popular place among tourists. Every year, during the monsoon, tourists crowd in large numbers come to enjoy the nature. However, environmental damage is caused to the sanctuary which caused the reason to ban the tourist area. But the ban has been removed by considering the employment of local people. Though visitors are advised to must have a security tool. Local guardians will be appointed in every susceptible area. Mahesh Bhavsar, Assistant Forest Guard said, It is in process to make rules for the protection of rare plants and bird species in nature and not to be inappropriate to nature. After 15th of August, the procedure for making these conventions will be completed and after that the written permission is required to go to Tamhini Ghat area.